With more and more devices now connecting to the internet these days. One thing that must be up to scratch and fast is your internet and WIFI speed. Nearly everything now connects to it, phones, tablets, PC’s, TV’s,Central heating systems. I even had a customer recently who had networked her kettle! It was really quite funny, she realised that the kettle itself was a vulnerable part of the network which hackers could exploit so she set it up on its own DMZ but the kettle could be voice activated through Alexa. If you have kids, you will already know the grief it can cause you by not having a fast WIFI speed. I’m not that old but I remember only a few years ago when it wasn’t really an issue, I can recall when we first started having foreign students stay at our house. The first thing that would happen is that they would give you a gift, nowadays the first thing they do is ask for is the WIFI code, or the “WeeFee”. If you are having trouble with your WIFI or internet speed read this blog, want to improve it or extend its coverage. Then this is the blog for you. As with most of our blogs, it’s a bit wordy. I do this to help explain the subject as best as I can. It’s also worth noting that Ethernet cables can offer greater internet speeds than WIFI you may want to consider network cabling at your property for all the fixed equipment. I work on the philosophy. “Wireless for things that move, wires for things that don’t.! Which takes me nicely into my first suggestion. Before you start, here is a couple of things to help you. Broadband speed tester – I use this one. By connecting your internet devices over Ethernet cables and instead of the WIFI will perhaps have the greatest speed increase on your internet and broadband speed. Most domestic routers will connect up to WIFI standard 802.11n. Which theoretically speaking is capable of speeds of 600Mbps. While this sounds as fast as you will ever need please let me empathise the UPTO 600Mps. It’s unlikely that you will even get close to this type of connection speed as there are so many things that will affect your connection,like walls for example. It’s far more likely that you will be connecting over a speed comparable to the 802.11g WIFI standard which can connect to 54Mbps. This is still pretty fast but like I already said the speed will decline the weaker your WIFI signal becomes, typically when you’re further away. WIFI coverage is also significantly weaker when exposed to modern building techniques which utilise foil lining insulation which blocks and reflects the WIFI signal. A wired connection on the other hand is susceptible to none of this. As you will physically connected to your router things like walls and obstructions that block a wireless signal will not make a difference. With a dedicated Ethernet cable connection speeds of up to 1Gbps are easily achieved with gigabit Ethernet called 1000BASE-T. When I say 1Gbps is easily achievable, this doesn’t mean that you will get 1Gbps internet speed as you will be limited by your download speed which is not likely be that fast. To demonstrate my point, I recently run a broadband speed test comparison using my Xbox One which shows internet speed comparisons between a wired and WIFI connection and can be viewed on the Smart Aerials Youtube channel. I recommend that you watch the video, but you don’t have time. The internet speed achieved via a wired connection was significantly faster, almost twice as fast.I achieved a download speed of more than 70Mbps with an Ethernet wired cable connection and a measly 42mbps over WIFI. Making the wired connection nearly twice as fast. No buffering on my Netflix here! In the test my router was actually right next to my Xbox meaning that the WIFI signal would have been very strong also. The WIFI would have been slower had the Xbox been further away like the bedroom for example. Ethernet is actually capable of speeds of up to 10Gbps over copper cabling, but it’s unlikely that any of your equipment will be able to connect faster than 100Mbps-1Gbps. For speeds beyond this you will need to be looking at installing Cat6, Cat6A or Cat7 but for most domestic networks Cat5e cabling is all you will ever need. Network cabling has huge benefits over WIFI in the sense that it can also be extended so cover large distances which WIFI can struggle with, making it perfect for large homes and buildings. The downside of having network cabling installed is the actual installing of the cables part. You may be fortunate where your broadband router is close enough already, so you can just connect with patch leads. If not,you will need to install the cables, you can buy these in long lengths pre-terminated,but you may want to terminate it yourself. This just makes it easier to route and can get cut to the exact length you want it. You can terminate the connection in either a RJ45 module face-plate or you can just install RJ45/ 8P8C plugs which are tricky at first but get easier over time. If you need more connections than your broadband router has you will need to install a network switch. If you want multiple connections around your house, you may want to bring all of your cables back to a central location and install a patch panel and/ or network rack. I have put this one quite high up on the list as it is actually quite easy to sort out and very common. Within the last couple of months, I have attended a couple of call outs with poor broadband speed. In both instances my clients were getting less than 1Mbps download speed, which is an absolute snail pace, good enough to answer and respond to a few e-mails but that’s about it. I wouldn’t even try to steam video on it. In both instances the poor broadband speed was due to the service that they were subscribed to. Both properties were in a built-up area of Eastbourne and fast internet was available in their area. So, it was not like they were in a rural location or anything. I advised them to contact their internet service provider or a new one and subscribe to a fibre service which they both did and are now receiving 70Mbps broadband for around £20 per month. As they had a FTTC cabinet installation, which stands for Fibre To The Cabinet but also know as a VDSL connection which utilises the last part piece of copper into the property, in this case overhead phones lines and meant that neither had to have a new line installed. They both did also benefit from a new up to date broadband router helping give faster speeds. To find your download use the speed tester I suggested, you will want to do this over a wired connection and wireless in various locations around your property, so you have comparisons on what speeds you are getting and help you identify what the cause of the problem is. It many be that fast internet in your location just isn’t possible over a traditional ADSL of fibre connection which utilises your incoming telephone line. There are many locations where we are in East Sussex and much of the UK which are considered out “in the sticks” and where fast internet is only a dream. In these locations you may benefit from a wireless internet service. There are many available now, like 3G, 4G, 5G mobile broadband, satellite broadband and point to point installations. 3G and 4G are both relatively fast internet services. They have to be with all of the internet activity from smartphones on the go these days. Particularly in the case of 4G which has an average internet speed of around 23Mbps here in the UK. This is often fast enough for many homes. If you have good mobile internet coverage in your area but poor speed over the phone-line you may want to use this as your broadband supply. You could just setup your smart phone as a mobile hot spot and have your other devices tether from it, but a better option would be to install an external 3G/ 4G antenna and bring a cable into your property which would connect to a compatible router.The router would then accept a sim card for to which you will make your subscription payments and away you go. By installing an antenna outside you’re picking up a far stronger signal with increased signal gain than your smartphone is capable of which will give a greater broadband speed. 5G will be capable of greater speeds still and will be probably offered in the future as an alternative or replacement to broadband delivered via your telephone line. You may be unfortunate in the sense that you have both a poor broadband service over your telephone line and also a poor mobile/ cellphone service. There is another solution for you! Satellite broadband is available in nearly 100% of the UK and capable of speeds up to 30Mbps. Again,this is an up to speed as it depends on the tariff you’re on and your data usage. A more realistic figure of 14Mbps download can be expected with satellite broadband which was the average speed last time I checked. There are a few systems about. The ones we install are Tooway and SES broadband. Tooway is undoubtedly the better of the two but the service is pretty much full up here in England with only the commercial business tariffs now available. SES broadband would be the next best thing in this situation. Both are received with a rather large satellite dish and a connecting coaxial cable. Some of the downsides of satellite broadband however are the costs. It’s very expensive compared to traditional broadband. The ongoing costs are typically more but you also occur the cost of the parts required and the installation. The latency is also a big problem, as the signal needs to travel up and down to the satellites in space before it reaches you,this adds about a second to the broadband speed making the service not suitable for online gaming and VOIP telephone systems. This would probably be the next best thing to a traditional broadband service as very fast speeds are possible. A point to point installation works by having an external antenna installed on your property which connects to a nearby land-based transmitter that itself has a leased lined connection. I personally have a service like this at our home and our office as we install these systems for a local internet service provider and I get over 70Mbps download speed & nearly 20Mbps upload. The big downside to this type of service is that they are not available in all areas. It really does depend on what is available to you.I know that this is a very popular way of delivering broadband in East Kent and I already said we install this type of service called Etherair, which is available in parts of Eastbourne, Bexhill, Hailsham and Polegate but apart from that you will need to do your own investigation. Perhaps the biggest reason why you may be experiencing a poor WIFI signal resulting in a slow speed is because the wireless signal from your router is weak where you’re connecting to it. Obviously, this would not affect devices that have been hardwired with an Ethernet cable but in large properties it’s possible that you’re beyond the reach of your WIFI range from your broadband router. In situations like this I recommend installing an access point to resolve the problem. An access point acts as a secondary wireless connection that would then be hardwired back to your router or network. This is the most effective way of resolving and getting rid of WIFI black-spots and the process can be extended to as many access points as your require to cover large buildings. There are systems that acts as wireless repeaters which create a mesh network and others which use the mains electrical cabling to send the data around your property. Whilst these are easier to install and avoid the need to route cables I really do not recommend them as they can be very intermittent and temperamental. A system I do recommend for a reliable WIFI system is the Ubiquiti Unifi range. These are great as you can create a network that allows you to roam from room to room and the access points will automatically connect you the strongest signal. It can also be extended to pretty much as many access points that you require, and the management/ installation software is really easy to use. Much of your slow broadband could be down to your router. If you have an old one you may want to contact your broadband service provider to see if you can get a more up to date model. I recommend when choosing a new broadband router to choose one with that is compatible with the 802.11n WIFI standard for the fastest possible connection. I would also recommend getting one that is gigabit Ethernet compatible as many are not to make sure that your downloads speeds won’t be limited to 100Mbps if you otherwise have a faster download speed and a busy network. If this is not possible you could just purchase your own router that could outperform the router you are supplied by your service provider anyway. Reputable manufacturers & reasonably priced for domestic routers include TP-Link and Netgear. There are other manufactures like Cisco who are considered the premium manufacturer of networking items and of course you could get one of their routers if your budget allows it. Setting up your own router not supplied by your service provider is a little trickier if you haven’t done it before. You will need to log into your router usually under an IP address similar to 192.168.1.1 or 192.168.0.1, but it may be different as different manufactures use different IP addresses with their equipment. You will then need to configure settings such as the DNS. I recommend that you check your manufacturer literature or contact your service provider for the relevant information. It may be that your router is just not in the right place for where you want to use it. I remember when I had a new phone line installed a few years ago the BT installer wanted to install my master socket in my kitchen, as it was easier for him ultimately and a much easier cable route. Fortunately,he saw sense and installed my master socket in my lounge, this would have meant that my router would also have had to have been installed in my kitchen which due to the shape and size of the building would have given me a very poor WIFI signal where I wanted to use it. Had he not done this I would have relocated my master socket to my lounge anyway. But this is typical of many properties,especially older type properties where telephone sockets where installed in hallways as this traditionally is where people used to take their phone calls.Growing up we even had a chair and notepad by our phone in the hall. You may find that just re-positioning your router to a position that is most central to your property or closer to where you use it.Not easy focusing on one location these days with smart phones as people often need WIFI coverage of the whole house. To relocate your broadband router, you will need to install a between where it currently is and where you want it to be. This could be a telephone extension, but I would recommend connecting to a master socket if possible to ensure the best possible connection, you may need a telephone engineer to help you with this however. Or you could just run along DSL cable to your desired position. These are the cables which connect between your master socket or ADSL filter to the router itself and have a RJ11 plug either end. You could also alternatively just install extra access points for better WIFI coverage, but this would usually cost a bit more than just moving your telephone socket. With everyone having wireless devices and if you live in a built-up area the WIFi spectrum can get really busy and it may be difficult for your router to connect wireless to all of your property. The 2.4Ghz spectrum that WIFI broadcasts on is also used for wireless telephones and microwave ovens as well as other things. Which is why you shouldn’t put your router near your microwave oven, as it actually cooks your food on the same frequency as your WIFI and can interfere with it. Well I wouldn’t so much say cook the food as nuke it to hell, but that’s neither here nor there. In which case, you may have a bit of luck by trying another wireless channel. To change this, you will need to login to your router. Most routers are sophisticated enough to identify the best wireless channel to broadcast on, so they are usually set to ‘Auto’. Before you log in and change I recommend that you use the WIFI analyser app to identify the freest channel to set as your router wireless channel. 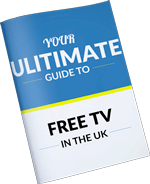 Sometimes it can be difficult to find a free channel and fortunately I have another suggestion for you. As the 2.4Ghz is so busy you now also have the choice on having your WIFI broadcast on another higher frequency range 5Ghz. You may need to replace your router for one that can communicate on this frequency band. Again, using your analyser app switch from 2.4Ghz to 5Ghz and see how free this is. If it’s not busy but your 2.4Ghz is rammed full of wireless devices you could have some success on this band instead. Master telephone sockets installed in the past before broadband was delivered down the phone line, I think it’s fair to say were never intended for the broadband signals so replacing your master socket for an up to date version can work wonders for your broadband speed. This is especially important if you are in a slow broadband area and you need to do everything possible to maximise your speed. This is also extra especially important if you have telephone extension sockets at your property as the extension cabling itself can pick up interference which can feed back into your telephone system and cause problems. If you have an old master socket I recommend getting a new up to date version. Ideally one with a filtered face-plate that separates the ADSL/VDSL and voice signals. Modern telephone master sockets have a bell wire filter that will remove a lot of unwanted interference from your telephone system. At the time of writing of writing this the latest BT master socket is the NTE5C master socket which is lightly different to older models. Most significantly is that the socket can be installed without any tools apart from a screwdriver and drill to secure it to the wall. I personally still use the NTE5 sockets which require a krone or IDC punch down tool to terminate the cables, but if you don’t fancy trying to replace your master socket or paying a professional to do it and you have a compatible socket you could just fit an BT I-Plate that is just installed into your socket between your main part of your socket and your test side part of the socket. This is really easy to do, and this will replicate many of the benefits of installing a new master socket. Studies have shown that on average 7 out of 10 homes in the UK can benefit by 1.5Mbps by performing either of these steps, but this could be more. Another technique that can be used to improve your broadband speed is to disconnect any redundant or unused telephone extension cabling from your system. As more and more people are now purchasing cordless wireless telephones, having telephone extension sockets installed around your house for extra telephone points is not as important as it once was. Where you have extension cabling connected for telephone extension sockets it’s best to disconnect these where possible, as these can potentially cause problems with your broadband. If these are connected to the front of your telephone socket it would be just a case of unplugging them, but where they are hardwired you will need to take off the front of your plate revealing the test socket and pull the cable terminations away before screwing back in. In fact, just taking off the front part of the master socket will automatically disconnect any telephone extension sockets which is one of the reasons when your report a problem to your telephone service provider they will tell you to plug your phone into the test socket. If you need to keep your telephone extension sockets I recommend only connecting pins 2,3 and 5 which are usually the following colours, Blue-2, Orange-3, White with blue stripe – 5. All the other cables are not actually required for domestic telephone systems. If you notice any other cables connected to pins 1,4 and 6 I recommend disconnecting these for optimum performance. If terminated correctly using 3 pair telephone cable these would be the Green, white and orange and white and green cables. This video shows you how to terminate a telephone extension. It’s possible that there is a fault with the master socket tself which could be causing poor WIFI and slow internet. If you have an up to date telephone master socket or have updated, it as already suggested. You will have a front faceplate that can be unscrewed. Using a small headed screwdriver un-screw the front part of the faceplate. This will automatically disconnect any hardwired telephone extension cabling and reveal your telephone test socket.Now try plugging your phone and router directly into the test socket. If you notice that your broadband and internet is now working okay there is a good chance that either the front part of the master socket is faulty, in which case you would either need to fit a new one or leave the front plate disconnected,not the tidiest way of doing things I know, or you have an issue with your extension cabling that needs rectifying. If you have one of the modern NTE5C master sockets the front plate is not removed with a screwdriver but by squeezing down on the sides and pulling away from the main part of the socket. By not having ADSL filters installed this could be ruining your broadband speed. You will notice also a loud buzzing/ humming on the telephone line when making or receiving phone calls. An ADSL filter is fitted to separate the internet and voice telephone signals and this should also rectify and buzzing on the line. An ADSL filter must be fitted before connecting to your broadband router, in fact you will have difficulty connecting it without one due to the plugs not fitting. The telephone line will use a standard BT plug and the router will accept a RJ11 plug. There are two main types of ASDL filters. These are active ADSL filters (the one’s you should use) and passive ADSL filters (the one’s you shouldn’t). The difference between the two is that active ADSL filters will always be working to separate the ADSL and voice signals and passive ones will only work some of the time. There is a far more detailed explanation, but I will leave that to another blog on another day. Just take my word for it that active ADSL filters are the ones that you should purchase, they are worth the extra couple of quid. Please note that you do not need a separate ADSL filter if you already have a filtered telephone master socket. In fact, it would be a bad idea to fit one. I would recommend that you separate the ADSL and the voice signals as soon as they enter your property without having to rely on plug in external ADSL filters to maximise your broadband speed. This would be done by fitting a master ADSL filtered faceplate like the NTE5 ADSL/ Broadband filter faceplate. This is a very easy job if you are doing this DIY for master sockets without one. You simply reveal the test socket by unscrewing the front part of the faceplate. Plug the ADSL filter plate in and screw the front part of the socket back. This will make the socket stand a little bit further away from the wall, but it is worth it for the performance benefits. You will now have both BT plug and RJ11 connections directly on your master socket removing the need for a separate ADSL filter. One downside or benefit of doing this also is that you no longer need to plug ADSL filters into all of your telephone extensions as all the cabling would already be filtered at the master socket. This does mean though how everthat your router can no longer be connected into your telephone extensions so bear that in mind before you try this for yourself. If you wanted your router installed elsewhere other than your master socket position it can still be done. You will need to perform a few terminations for yourself however. You will notice on the back part of the ADSL faceplate that has terminations for the telephone extensions plus a couple extra. These would normally be pins 2,3 and 5 for the telephone extensions and A and B for the DSL signals. By terminating a pair into the AB terminals these can then be connected onto a RJ11 faceplate or module at the telephone extension position. You would need to connect the cables terminated into A and B into pins 3 and 4 on the RJ11 plate.You can now plug your router in at this position. Please note that you do not need to install a ADSL faceplate on new master sockets already containing an RJ11 connection. If you do not have an up to date master socket or an ADSL filtered faceplate then you will need to install ADSL filters on all of your telephone extensions sockets as well as before the router, even if the router is not connected to them for best possible internet connection. It may just be that you have poor WIFI and slow internet because your device is faulty or not capable at running at a faster connection,in which case you would need to replace or repair the device. This could just be tested by another connected piece of equipment so if your phone is connecting slow, simply try another phone. I recently attended a call out for slow broadband. When I tested the download speed all was OK, but their PC was ruining painfully slow. I diagnosed the problem as a wireless USB stick which was being used to connect to the WIFI throttling the speed down to 2Mbps. Rather than replacing anything I simply run an Ethernet cable to connect the PC and all was well. You could also have a problem with the software on your PC or have a virus. I recommend regularly running PC scans and clearing any junk files on your PC. I use AVG for this but there are many. I must admit that I am not an IT professional so if you have any computer viruses I recommend contacting someone who specialises in this. That’s it for this blog. As always please LEAVE A COMMENT in the section below and I will be delighted to help where I can. Unless you’re within our coverage area of East Sussex, parts of West Sussex and South Kent please do not call our telephone lines as I am unable to offer free technical support. I will answer queries on the blog however.